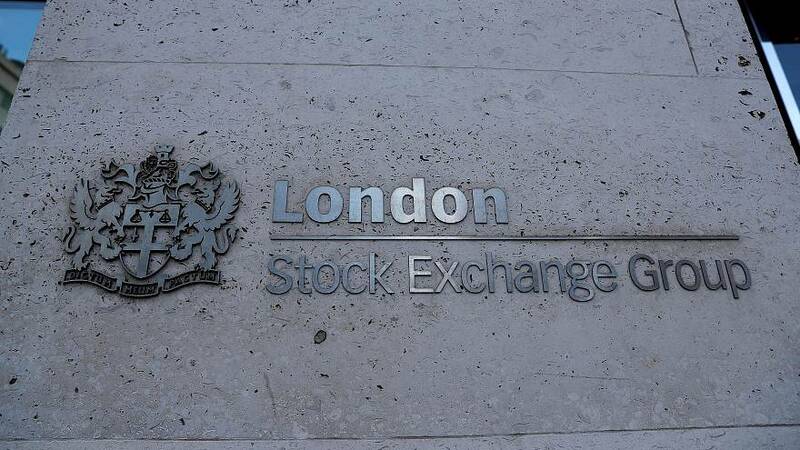 London's blue-chip stocks gained on Wednesday as positive results and hopes of a possible delay to the UK's exit from the European Union lifted housebuilders and packaging firms DS Smith and Smurfit Kappa were boosted by upbeat earnings. The FTSE index was up 0.5 percent and the midcaps were 0.6 percent higher by 0909 GMT, ahead of inflation data due at 0930 GMT. Housebuilders Persimmon, Barratt and Taylor Wimpey - among most vulnerable to a no-deal Brexit - were among the biggest gainers after midcap Galliford Try reported higher first-half results. Galliford led the FTSE 250, hitting its highest since end-November. A trader also cited growing hopes that Brexit could be delayed if a EU divorce deal agreeable by all parties is not reached by March 29. The UK's exit from the bloc remains unclear with just over six weeks till the deadline as Prime Minister Theresa May on Tuesday asked lawmakers to give her more time to negotiate a deal acceptable to both Brussels and British parliament. Elsewhere, Asian stocks touched a more than four-month high on optimism that the United States and China might be able to hammer out a deal to resolve their protracted trade dispute. That lifted shares of Asia-focussed companies with HSBC and luxury brand Burberry rising 1.1 percent and 1.7 percent, respectively. Global miners were on course for their best day so far this month as London copper prices were headed for their first session of gain in five. In single stock moves, Rolls-Royce was the best FTSE 100 performer with a 3 percent gain. It rose to a four-month high after a rating upgrade from Credit Suisse. Packaging group DS Smith followed close with a 2.9 percent gain as rival Smurfit Kappa said the current year had started positively after reporting strong results. London-listed shares of Smurfit Kappa also added 1.6 percent. Tour operator TUI underperformed with a 3.4 percent fall, extending losses from the previous session when it posted a bigger first-quarter loss. In a similar vein, online trading platform Plus500 declined 5.1 percent after losing nearly one-third in value on Tuesday when it issued a profit warning. Supporting the midcaps was Dunelm that rose 3.3 percent after reporting a jump in first-half earnings.